Sportaid is one of the biggest online retailers of Wheelchair Gloves. 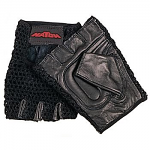 These durable gloves are appropriate for general to heavy use when wheeling, working, or exercising. Whether you want Half Finger Full Thumb Gloves or 2 - Fingered Racing Wheelchair Gloves, we can help you to maximize your comfort by offering the best options for you. Our international collection of multipurpose gloves includes Sportaid Wheelchair Gloves and Hatch Wheelchair Gloves. Our unique collection lets you choose from the widest array of international brands. Select from the top manufacturers and save big with Sportaid.com's everyday low prices. Feel free to call 1-800-743-7203 for picking the right gloves for you today. You'll be glad you did! If you get your Wheelchair Gloves from Sportaid today, you could save as much as 58%! Find the Right Wheelchair Gloves for you! Sportaid Gloves: - Whether you need gloves for pushing your wheelchair in-doors our outside, we have a great selection for you at an affordable price. 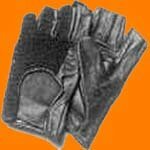 We offer wheelchair gloves from Cold Weather Leather Gloves to Quad Cuffs with 2 Straps. You will be amazed to find such a huge collection of Sportaid Wheelchair Gloves to choose from. Hatch Gloves: - Hatch Wheelchair Gloves are made of quality leather and crocheted mesh. Our reliable products ensure that you find all the comfort and freedom you want while pushing your wheelchair. The wheelchair gloves we offer are easy to put on and take off. 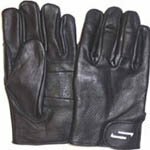 You can choose from a wide variety of Hatch Gloves like Quad Push Wheelchair Gloves, Mesh Wheelchair Gloves, or Wheelchair Gloves Topy Palms. 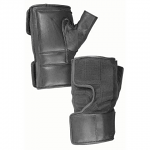 Sportaid offers a complete range of wheelchair glove supplies from leading brands. The various types of racing glove supplies include Glove Liners, Aquaplast Custom Racing Glove Kit, Black Glove Rubber, Tensoplast Tape, Lightplast Tape, and Hand Ball Klister. Whether you are a new customer or someone who has been with us for a while, we guarantee satisfaction. After over 25 years in the business helping people find Wheelchair Gloves at the lowest prices, we continue to lead the industry! We carry a large selection of wheelchair cushions, wheelchair parts, and wheelchair accessories. We are capable of beating any competitor's advertised price, just call! Our customer service staff has over 50 years of experience, plus over 90 years of combined wheelchair use experience. We look forward to working with you! These are great locks. No need to adjust them to keep them tight. They are spring loaded. The down side of being spring loaded is that when the spring fails the brake is worthless and you have to buy another brake. For me they last between 6 - 8 months.